Aldus Freehand Vintage illustration Design Software for Windows Ver 3.0 -Sale & help comments reviews. This item is a vintage illustration/design software for windows. Aldus Freehand Ver 3.0. This software package comes with manuals and the 3.5 inch (15 floppies) disks. The 5.25 inch floppies are missing. 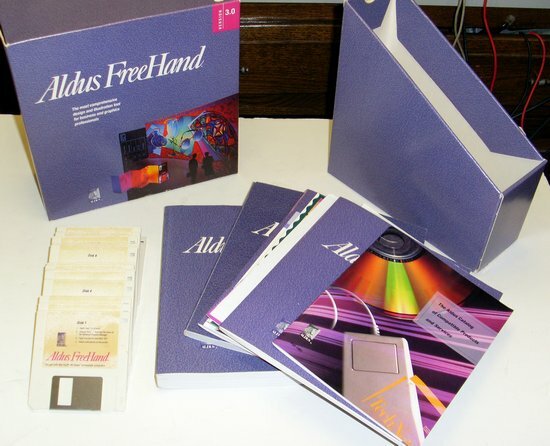 NOTICE: This Pre-Owned-Recycled aldus freehand vintage illustration design software for windows ver 3.0 was described to the best of our knowledge and it is offered as-is. If the field -Items in Stock- shows zero, the product is no longer available.